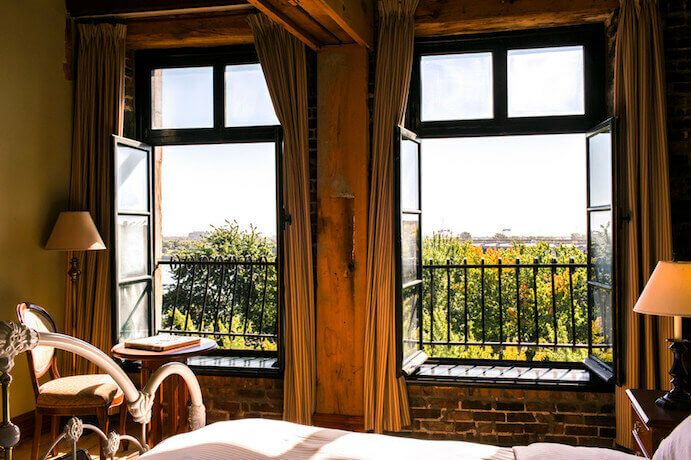 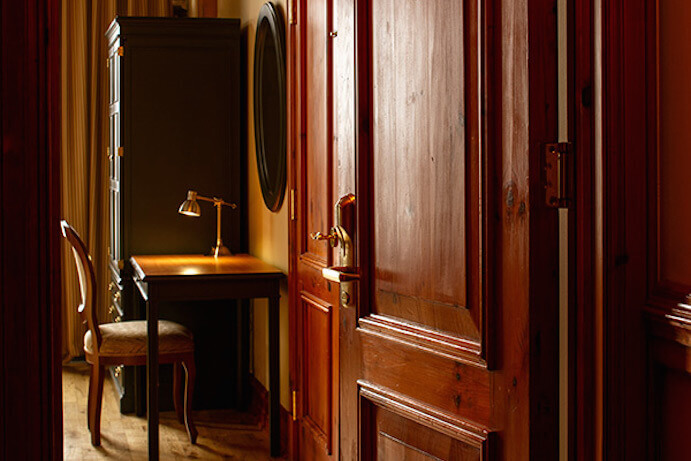 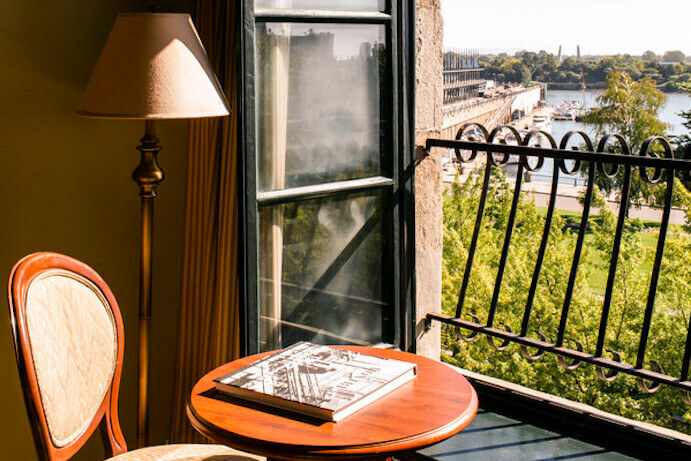 A boutique hotel with personalized service and stylish rooms, the Auberge du Vieux-Port offers a great morning view on the Saint-Lawrence River. 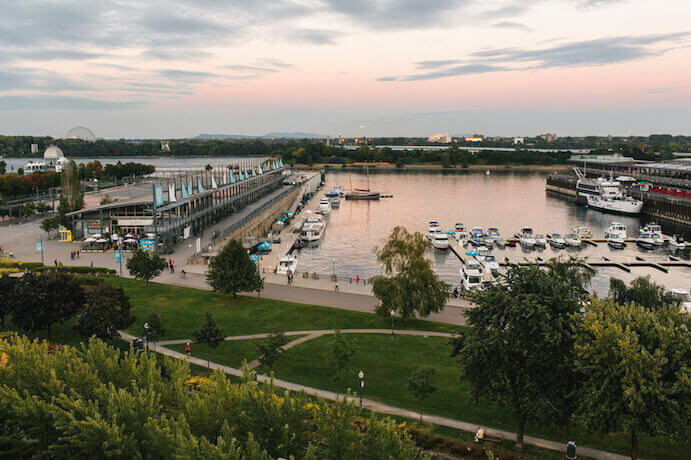 Facing the Saint-Lawrence River, the hotel offers a magnificent view on the river and the Old Port of Montreal. 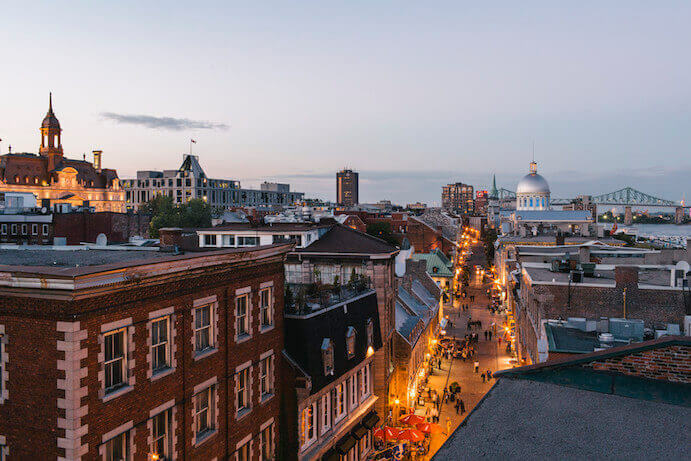 The back facade faces Saint-Paul Street, the emblematic artery of the Old Montreal. 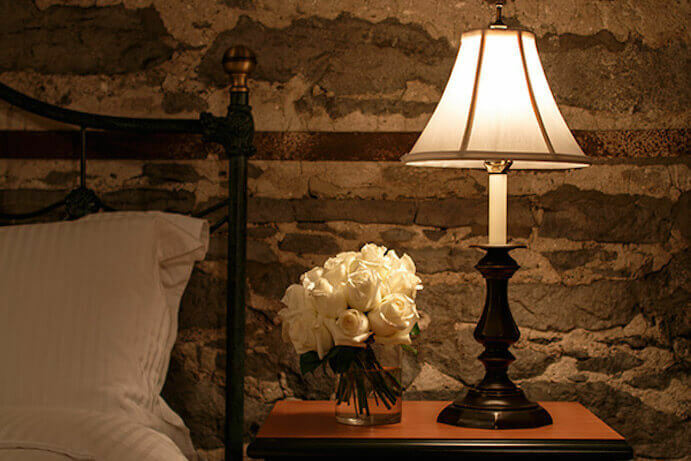 This historical building (dating from 1882) exudes elegance thanks to its 45 rooms featuring brick walls, stone walls, and exposed beams. 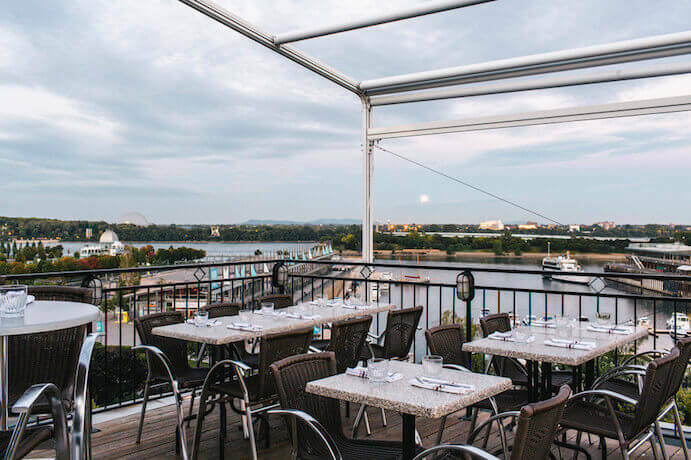 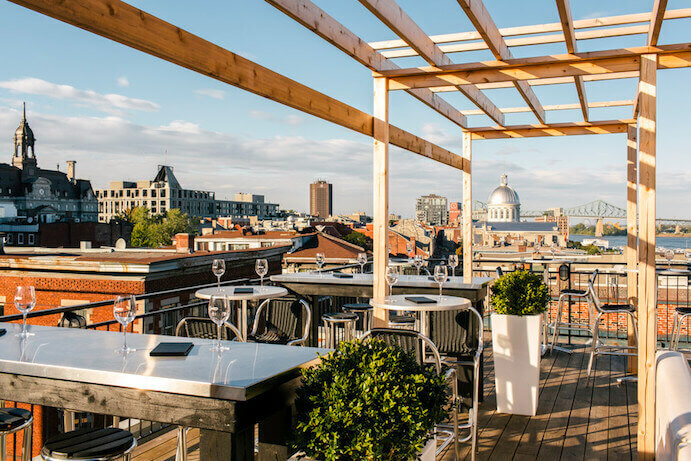 On the rooftop, the restaurant Terrasses sur l’Auberge allows you to gaze at the river and the Old Port, making it one of the best spots in Montreal to watch the fireworks that the city organizes every summer. 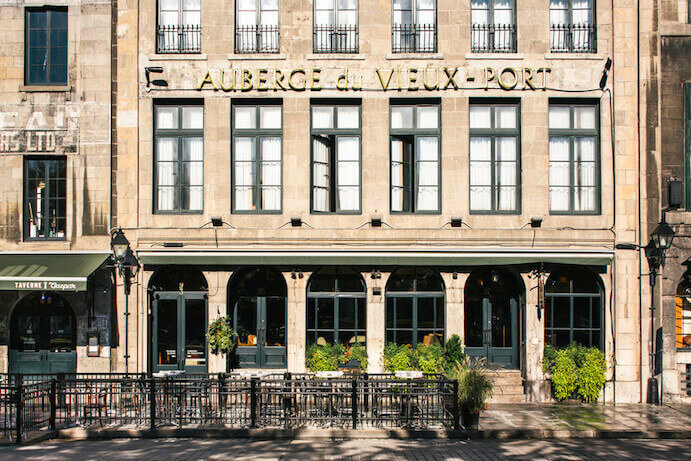 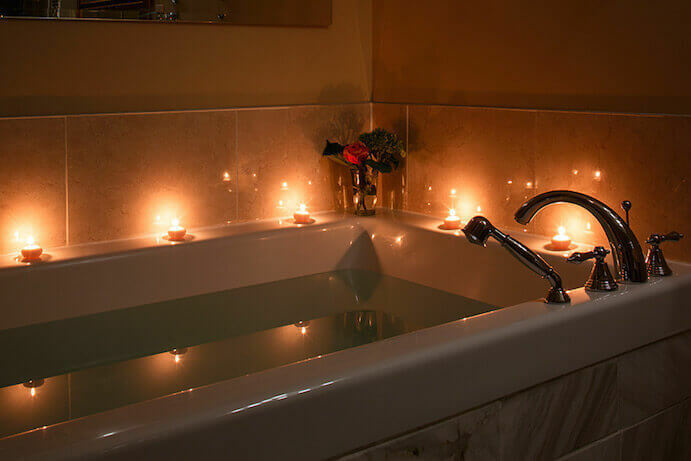 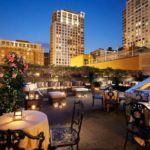 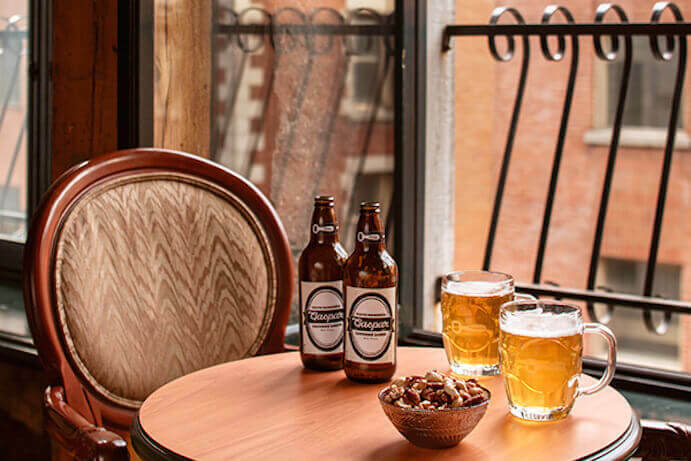 As the only hotel located in the Old Port, also in the heart of the Old Montreal, the Auberge du Vieux-Port is located at 10 minutes walking distance from the Place d’Armes metro station (line 2 – Orange).